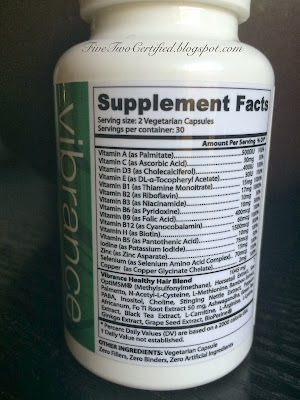 I have never really taken any supplements for my hair and when I saw Brandbacker was offering this I went ahead and jumped on the opportunity! 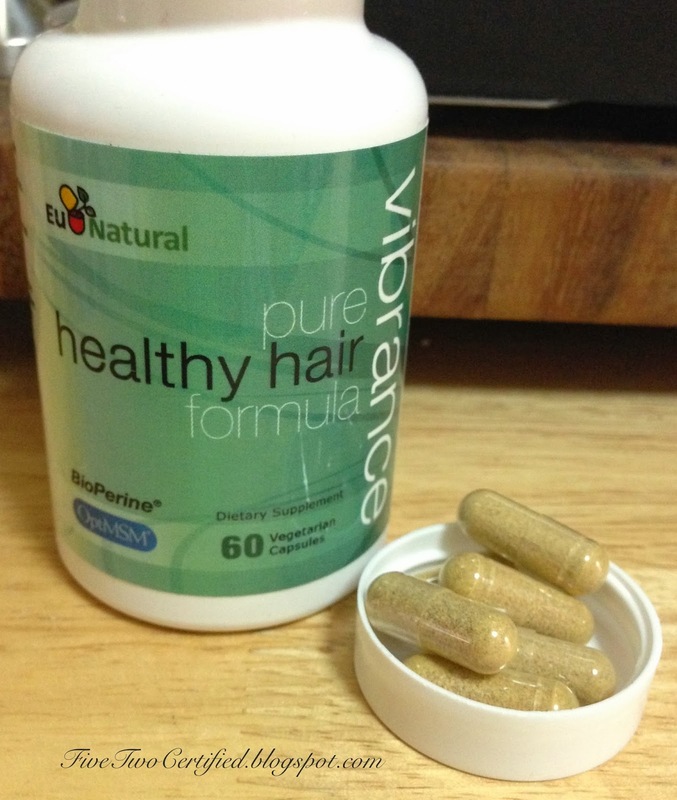 Before I do tell you more about this product I just want to give you a little bit info on my hair situation. I have pretty long hair already, almost up to my waist! I have not colored or done any highlights or any treatment to it for the last 2-3 years. I only get my hair trimmed once a year because I am lazy to go to a salon. A few split ends which I trim myself. Frizzy when I don't put on some argan oil. I do have a dry scalp aka dandruff. I noticed as the weather was getting cold my hair was starting to feel brittle. Breaking easily. Even after using a hair mask once a week and argan oil, I still had brittle hair and dry scalp. 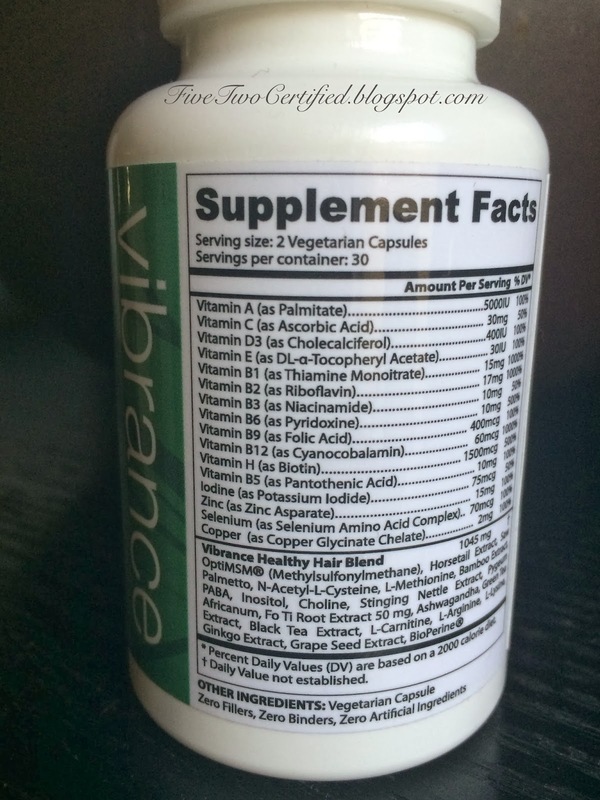 Try Vibrance risk-free! Backed by our 100% Money Back Guarantee! For best results, use for a mimimum of 3 months. This bottle is only a one month supply of the capsules since you have to take two capsules a day. One in the morning and one at night with a glass of water before a meal. I was getting desperate to get my hair back it's health and strength since it is getting so long and I really don't want to get it trimmed or cut like 3-4" of it, so when I saw this is an all natural herb vitamin supplement for my hair, I just had to try it out. Even though it has only been less than a month of taking this, I can see an improvement with my hair! Less strands come off when I comb wet or dry. I have noticed less hair in my shower drain too. I have seen improvement in my scalp as well. Less itchy and no dandruff anymore! Hair feels very soft. It's still frizzy so I still put some argan oil mostly in the ends. I failed to take this twice a day after week 2. I am not a fan of taking any pill that is directed to be taken twice or before meal unless when I am really sick and I need my Tylenol or Mucinex! Or if my doctor said so. I don't like how big the capsule is. It's harder to swallow it, that I even do the "whipping my head back" motion like hubby and then finishing my full glass of water to make sure it stays down. 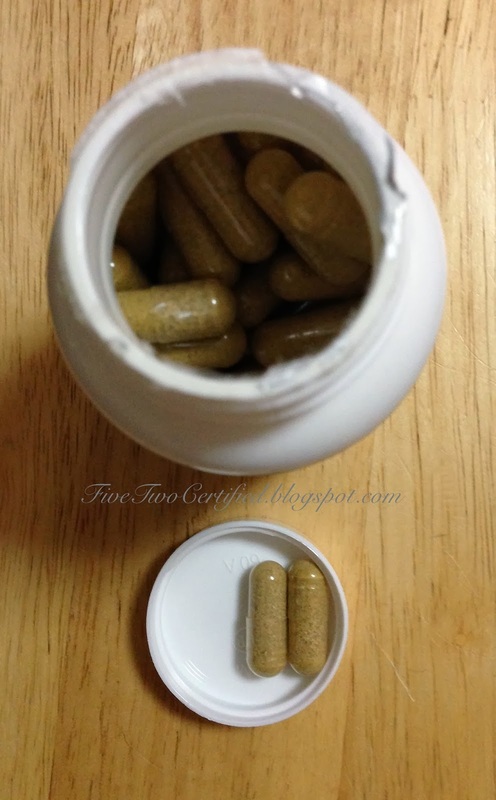 I would keep taking this supplement if I do keep seeing positive results from it. I will keep taking this pill once a day since I keep forgetting to take it at night, so we will see if this will affect the results of its claims. tag: Bloggers Made Me Buy !! !